Are you ready to embrace what’s fashionable in 2018? This handy list of menswear trends is a great place to start. 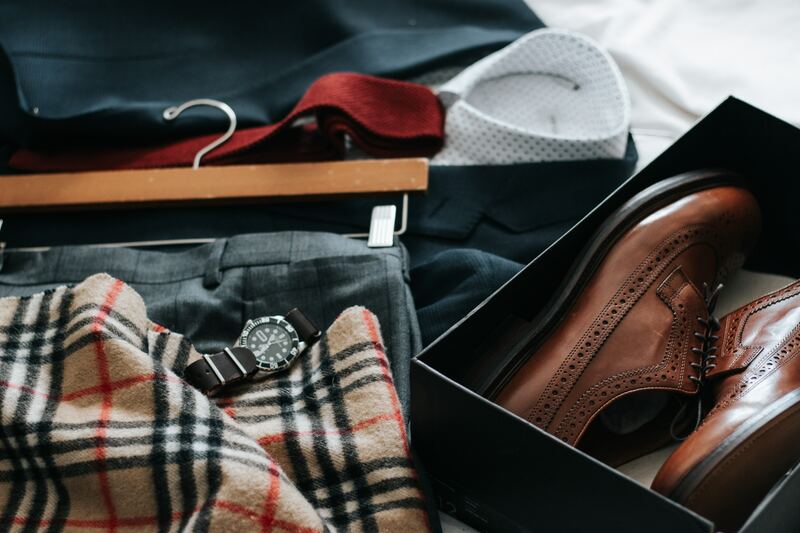 Whether you’re more into the styles of yore or you enjoy recent trends like comfortable athleisure, there’s something for every man on the horizon. In 2017, women’s and men’s fashion was run amok with the return of logos. You probably haven’t seen this many brand names emblazoned on pants and shirts since the ‘90s. This throwback can sometimes be tacky and a little in-your-face, so wear smaller logos when possible. From metal hardware at Dolce & Gabbana to iridescent fabrics at Bottega Veneta, if you’re tired of the same white, gray, and black duds, 2018 is going to be your year. Men’s fashion is now as elegant and ornate as women’s clothing, sometimes even more so. If you’re looking to punch up an outfit with an appealing pair of loafers or a smooth blazer, this is a smart way to do so. Athleisure, or wearing athletic apparel for everyday purposes, was seen from the likes of Berluti, Lanvin, and Louis Vuitton at fashion shows late last year. So what kind of looks can you expect? Lanvin sent out models looking ready to spend their day hiking a mountain, wearing cords and zippers as accessories. Cycling shorts meshed with Hawaiian-style shirts over at Louis Vuitton. Fashion shows can sometimes display the more extreme sides of a trend. If you want to dress sportier this year, embrace your own favorite elements of athleisure. Yes, ‘90s style is still going to be a major factor in 2018, but some designers are going even further back in time. For instance, the ‘80s were back in a big way at Prada, while Louis Vuitton favored the ‘50s and Gucci the ‘70s. Prada models sported bowling shirts, taking these from gaudy to a new desirable menswear staple. Louis Vuitton reintroduced the stylish looks of Elvis Presley, replete with colorful fabrics. Gucci used Elton John as a muse, meaning most of their models strutted the runways in bright pastels with huge sleeves and plenty of layers.